What better way to show off your Christmas cheer than with your Xmas dinner chucked all down the front of your new Christmas Jumper. Don't worry! No mess is involved, but by wearing this Lightup Christmas knit you can show your love for the traditional turkey Christmas dinner with all the trimmings. ✓ Featuring a cooked turkey and steam, pigs in blankets, xmas puds, crackers and everyone's favourite, the good old SPROUT. ✓ Flashing yellow lights and hidden control switch. ✓ Vibrant colours and all over knitted pattern. 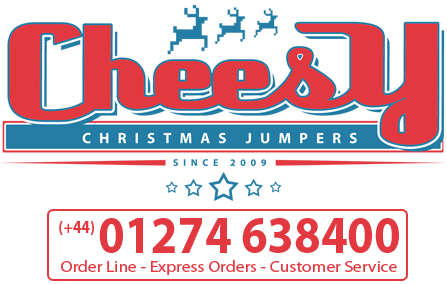 The Christmas jumper is made of 100% premium acrylic yarn for both comfort and durability. The Jumper can be hand washed with care. Once washed allow to and hang dry. Please do not iron or tumble dry.